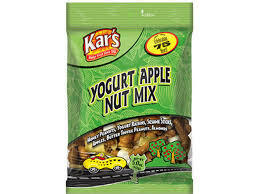 Kar’s Nuts believe nuts and mixes make snacking fun! Plus, we feel that the levels of protein in nuts leave you feeling satiated (satisfyingly full), and less likely to overeat. In other words, a little goes a long way! It’s a tasty combination of honey peanuts, Greek yogurt covered raisins, sesame sticks, tart apple pieces, butter toffee peanuts and almonds. Yum! What can we say? sometimes you just have to give in to your sweet tooth!. Nestle’s mouthwatering combination of scrumptious crisped rice and rich chocolate packs an unmistakable CRUNCH! Made with 100% real chocolate and Nestle’s unmistakable delicious taste of fun in every bite. 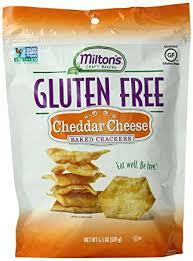 Whether it’s Milton’s Gluten Free Crackers, Gluten Free Baked Chips or Snack Crackers, each of their products found in our machines and micro markets surpasses expectations for taste, texture, nutrition and responsible sourcing. Enjoy a special moment with yourself, or share your healthy passion with family and friends, it’s all good, there is a “Milton’s Moment” of joy in every bite. 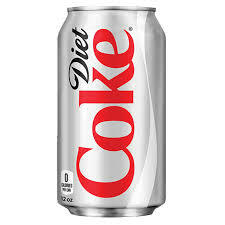 The name says it all…Diet Coke is the most popular calorie-free soft drink in America and a best seller in our machines coast to coast. It’s the original sparkling beverage for those who want great flavor without the calories … a drink for those with great taste. Take a break with a nice cup of coffee and relax with Snackwell’s Chocolate Creme Sandwich Cookies. Don’t stop with just one or two, they have 40% less fat than most other packaged cookies.